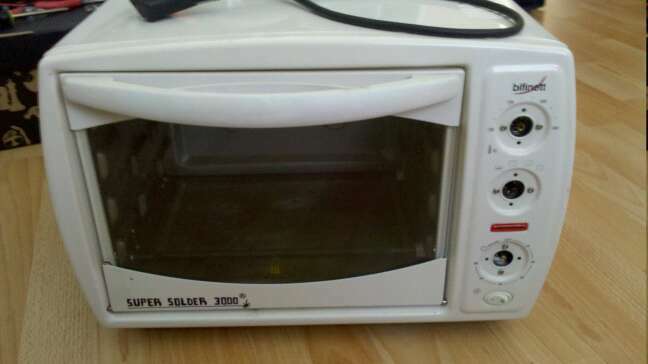 I have bought this oven - . The main reason for this was to bake some PCBs. As with every reflow oven, this one needs temperature control as well. I have baked several pcb without problem with unmodified oven. But that might be luck, as the temperature profile is nowhere near perfect. I have therefore decided to make some simple temp controller to take care of the whole soldering process. As my oven features fan, I will probably want to control it as well. The contoller should not to need any special programmer (mega can by programmed with BP) and the board should be etch-able at home. The whole thing is based around mega8 chip. There should be enough space for some pid, ramp generator, and menu. Oscillator is internal RC 8MHz. User output is through 8x2 lcd display. Tiny display that will fit to the control panel nicely. This display is driven in 4-bit mode, to limit number of IOs. Backlight can also be controlled by the mcu. User input is encoder with button. Both encoder pins are interrupt. Button is polled to save some nasty logic needed to multiplex. Temperature is sensed by thermocouple and converted to digital using max6675, that i had lying around. Datasheet is saying that data is available every ~200ms. Little slow, but enough for this purpose. Big plus is cold junction temperature compensation and polynomial compensation. Output is 2 channel PWM, 0-Vin. Both to be used to drive SSR (solid state relay). These relays can be bought off fleabay for about 3-6dollars/pc (free s/h). There is no programming port for the atmega8. It needs to be programmed with bootloader before the max6675 is soldered. Reset and MISO pads are for this purpose. The board is a bit larger than the lcd itself. Most difficult part is to solder the header. That needs to be replaced by smd version in next release. 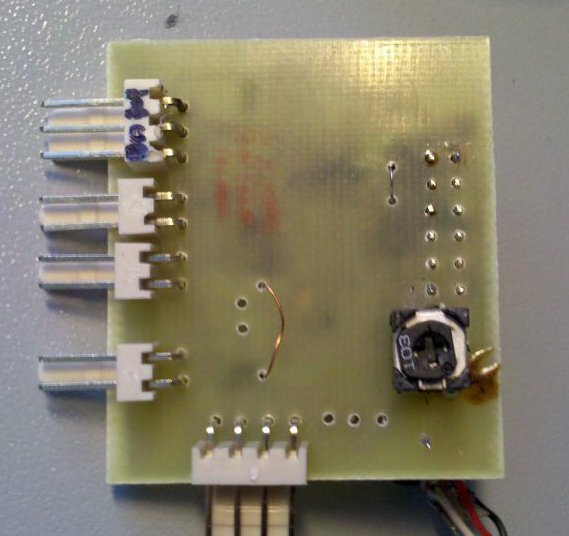 The board is designed to be piggibacked on the lcd. Small hack is Pot to set the lcd contrast. There was no smd pot available near, so I decided to solder miniature trimmer to the pin header directly from bottom side. Board is single side pcb, with 2 jumper wires. This board was not etched at home :-). It was made some local company that does UV etching, and they also apply silver coating to protect the copper. 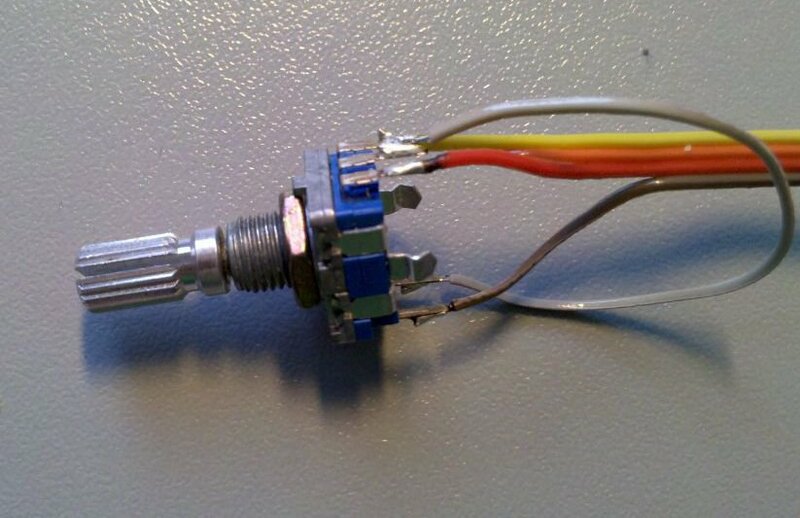 There are few modifications not present in the picture above - gnd on middle pin of the thermocouple connector, voltage divider for serial port. Some parts are missing, and are not needed for lab testing (mic5205 voltage regulator, and big through-hole capacitor). 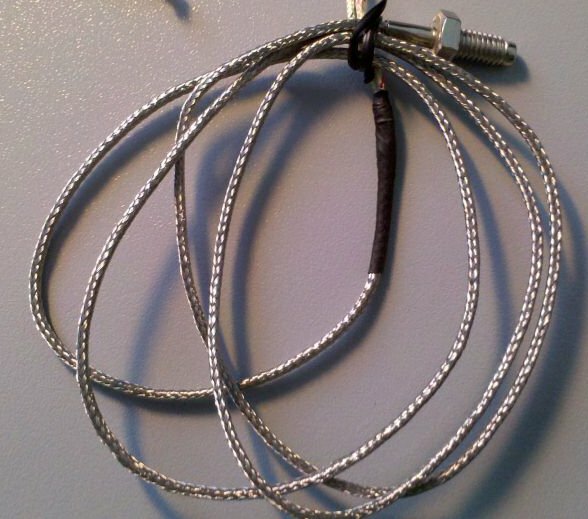 The thermocouple does take a while to cool down and I wonder if it is suitable for this purpose. For user input I use incremental encoder, bought at local store. This seems to be not a good quality build. Tends to jump randomly back and forth. Probably the hardest part. This part is still in development. So far the every peripheral can be controlled. Finished is: encoder, button, display, max6675 temperature reading, PWM output, pid controller. There are still missing parts like: ramp generation, user interface. I will provide board/schematic files here on request. The software will be provided as well, once finshed. Last edited by robots on Fri Mar 25, 2011 3:25 am, edited 2 times in total. Did the Dangerous Toaster never get off the ground? ... or is this slightly different? The picture of your oven did not show up, although the schematic and board do appear. a generic temp controller would be cool, I've been thinking about cooking sous vide in my crock pot. The picture of the oven is on my other hdd (one that failed :(, of course there is backup (-: ) *picture* is just a placeholder. I guess I uploaded some code for the Dangerous Toaster project. It is from a PIC24 book used in my microprocessors course. Maybe they can be helpful while developing the firmware. Dangerous Toaster was the name of a reflow oven controller design discussion and I have made some boards that I am testing right now. My intent was to keep it as simple as possible and use the power of a PC to manage profiles, data collection and plotting. 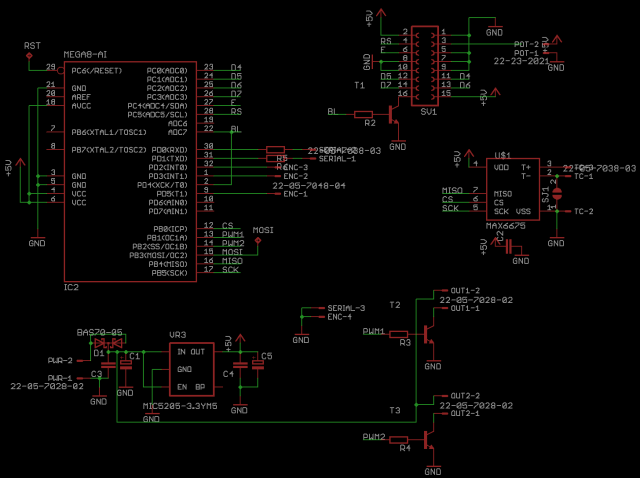 The software is a based on the software I did for the USB LCD Backpack. The board drives a SSR or Power Switch Tail. 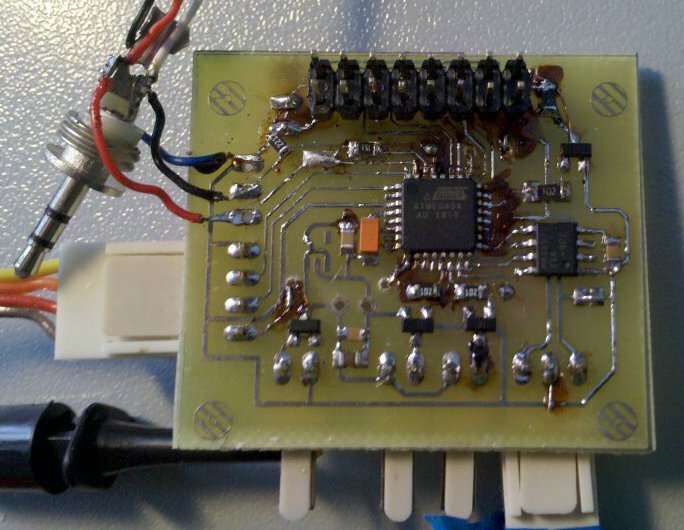 Seems like the two projects (Dangerous Toaster v. Reflow oven controller) could be combined in some ways. Rather than have the entire system be managed by the ATmega (UI and operations), or entirely managed by a connected PC, perhaps the duties could be shared. A PC front end would allow a more comfortable user experience, but hopefully the time spent in the UI would be minimal. The PC could then download the desired profile to the ATmega as a data set, stored in a designated area of Flash (or EEPROM), and then the oven could operate on its own. Such a split of duties could lower the costs by alleviating the need for an LCD, but still not tie the oven to a PC 100% of the time. The LCD would still be a nice touch as an optional confidence display, perhaps even to select among multiple profiles stored in Flash (if there is enough room). FTDI is convenient, but I tend to prefer having local firmware under control. It's also safer in the event that someone trips over the USB cable and unplugs the USB host during a bake. But I'm just tossing in my two cents. International exchange rates may vary. There are so many version on the web using either Atmel or Microchips. I was thinking about something different. So in the scheme of DP I was trying to KISS and keep the cost down. I have designed many variations of the circuit some very advanced with color graphic LCDs and as simple as the FT232R. On the other hand if the hardware is simple the software has to be more complex. 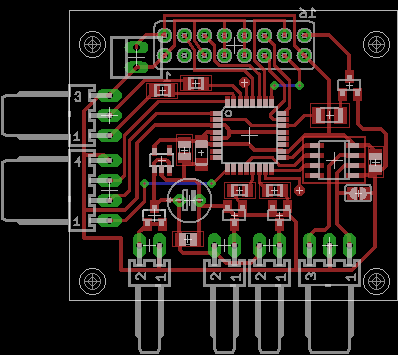 The new BP with the PIC24FJ should be able to control this circuit through it's USB OTG. BTW, the 555 in the circuit is a watchdog so in case you trip over the USB cable or the PC gets BSOD the relay turns off. MichaelZ wrote: BTW, the 555 in the circuit is a watchdog so in case you trip over the USB cable or the PC gets BSOD the relay turns off. That's a cool idea, but then the oven stops working. With a PIC or AVR, the oven would continue to function unless it totally lost power, which means there's no hope of working anyway. But I see your point - there are lots of designs out there.